Finally, it is Friday! And it is time for the Angel Orensanz Foundation blog to share suggestions for what to do in New York City this weekend, because we want you to have a very artful one. First off start Saturday with Summer Streets! Along the route (that goes from downtown Lafayette St to uptown Park Ave) you will be able to enjoy Urban Art, provided by DOT(New York State Department of Transportation), like LOVE TV by Australian artist Rebecca McIntosh and art producer Victoria Johnstone an interactive work that explores people’s love for places, individuals and things; Bench Press by BroLab, Cyclo-phone by Marcelo Ertortguy and Sara Valente, a bike-powered band of musical instruments and Bus Roots by Marco Antonio Castro Cosio, a mobile garden. 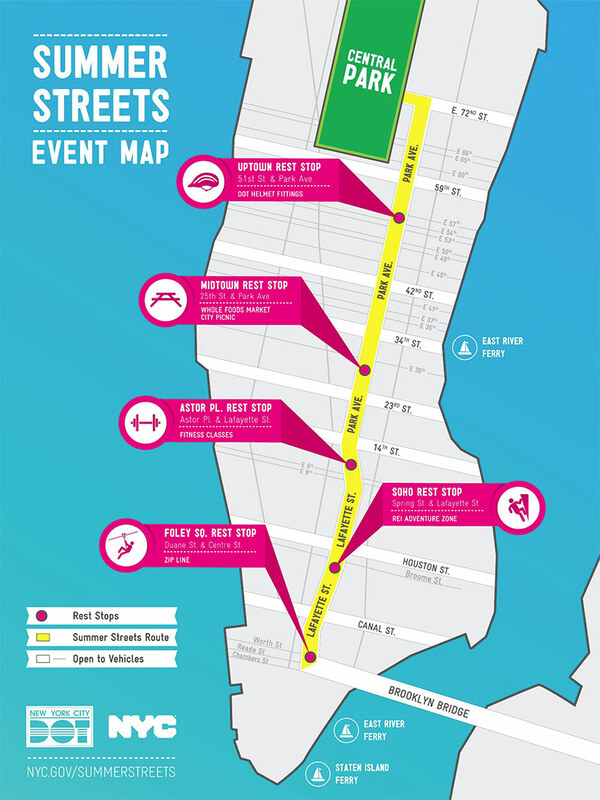 To see the whole schedule for summer streets in New York City, just click here. After strolling along this route, you can make your stop on Central Park to enjoy some music. The bands Carolina Chocolate Drops, Buckwheat Zydeco and Abigail Washburn, in their Summerstage performance at 3 p.m.. To check the whole schedule for Summerstage, just click here. Don’t feel like being outside? No worries, you can head to Brooklyn to enjoy the Art of Brooklyn Film Festival, in St. Francis College, features 54 independent filmmakers—both first-timers and Hollywood vets—who have lived and worked in the borough. 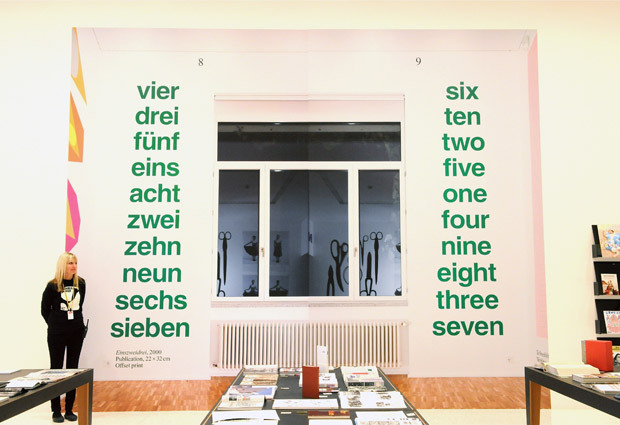 To check the schedule, just click here. 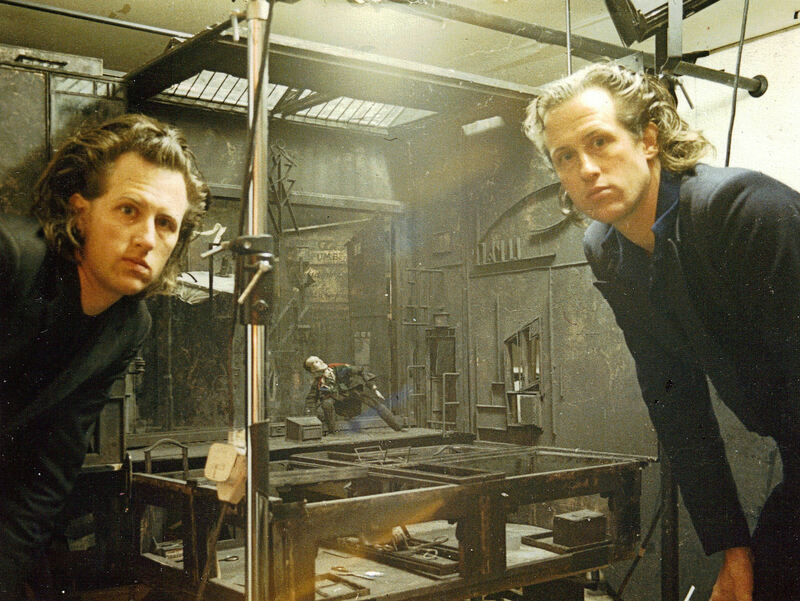 On Sunday, how about a trip to MoMA to enjoy the opening of The Quay Brothers installation? Titled Quay Brothers: On Deciphering the Pharmacist’s Prescription for Lip-Reading Puppets the exhibition showcases the London-based godfathers of alternative animation Stephen and Timothy Quay better known films, never-before-seen moving image works and graphic design, drawings, and calligraphy. Don’t feel like going uptown? 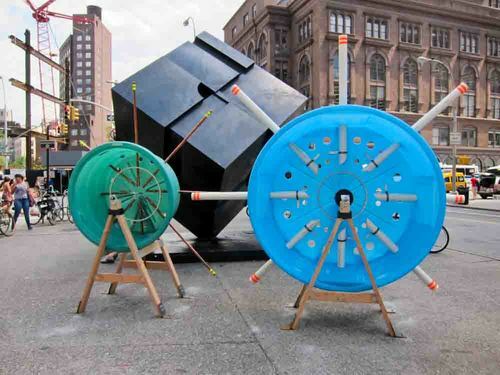 No worries, there are many places to see art in NYC. Take the ferry to Governors Island where you can enjoy “Graphic Design now in Production” an exhibition of posters, books, magazines, typography, branding and film and television graphics created since 2000, organized by the Walker Art Center in Minneapolis and the Cooper-Hewitt, National Design Museum in New York City and displayed on building 110. Finally, the Downtown Dance Festival starts this weekend; you can see the schedule here. Also, The Fringe Festival is back for another year! The calendar is here. And last, but not least, we hope you have a lovely and artful weekend and we want to remind you , a month (and 2 days, to be more exact) from now we will be presenting Angel Orensanz’s Burning Bronze exhibition in our gallery! You shouldn’t miss it! More info is coming soon, so get excited!